Join us for a day of fun spent paying it forward, and energize and unify your team around helping others in the community. 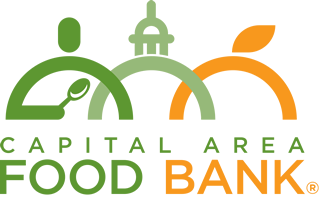 The Capital Area Food Bank has a perfect program for your next off-site volunteer day! TOUR the food bank’s 123,000 square foot facility and see how we distribute nutritious food to thousands of children, seniors and families. LEARN about the causes of hunger in our community through Face Hunger®, a powerful interactive simulation. ROLL UP YOUR SLEEVES and get to work sorting and packing thousands of pounds of food that will soon be on its way to the plates of children and families throughout our area. REFLECT on the work your team has accomplished together, and the impact that it’s made for men, women, and kids in need. Ready to get started? Contact us today to learn more: For corporate groups, call 202-769-5621 or email corporatevolunteer@capitalareafoodbank.org. If you’re not associated with a company and would still like to bring a volunteer group, consider checking out our group volunteer page.